Chaser came to fruition first in 2014 under the moniker Settle the Tides. With most band members heavily influenced by pop punk, it was the sound of focus for the group. After releasing a 4 track EP under that name, the band went on to perform live shows as much as possible in the greater Florida area. Things remained this way for about a year and a half until they came to grips with the realization that the material they were writing was transcending their initial motives for their sound. It was then they changed their name to Chaser and have since gone on to tour the Eastern part of the Unites States. 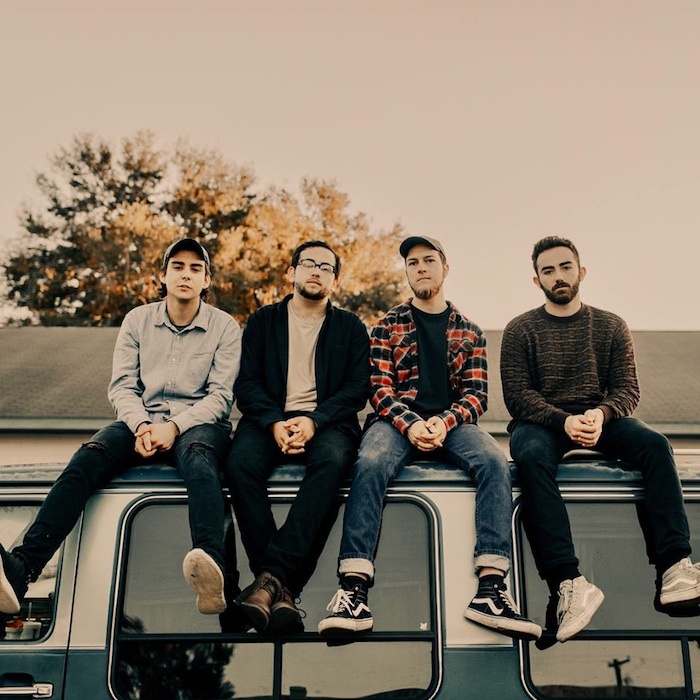 Life I Used to Love is a testament to where they are at with their sound right now.With the release of the Life I Used to Love EP, Chaser takes the best parts of a few classic genres, and breeds a sound familiar, but all their own. Lush with high energy progressions, an edgy but soulful vocal approach, and some of pop punk undertones, the record boasts the aesthetic of alternative rock anthems. Although songs are diverse from one and other, there is a glue that holds them all together much like any concept album would. Most importantly, the record never loses sight of the emotional platform great songs are built from.The first single, “Your Everything”, immediately grabs you with its hard hitting riff, followed by passionate and catchy vocal melodies, and a chorus that creates a massive wall of sonic sound giving the track the ability to breathe as it plays on.“The song is about how putting your mental health on the back burner can be a serious detriment to someone who loves you. It’s painful for a significant other to see you dwell in a mental trench, and it’s even worse when that person’s attempt to put you back together is ignored or rejected. No matter how much he or she means to you, it’s difficult at times to realize that you aren’t the only victim of your mental decline. Eventually, the negativity repels their significant other, and it isn’t until then when that person recognizes the damage that came with ignoring the problem. The song ultimately focuses on the perspective of that person after having that realization. As much as he loves her and wants to heed to her attempts to improve his mental state, he warns her to keep her distance out of the fear that he’ll hurt her again.” explains the band of their single.Although the single does speak volumes for the EP, to get a real understanding of where Chaser are coming from, it should be heard in its entirety.“Like Your Everything, the majority of the record has some dark undertones from a lyrical standpoint. It deals with going through rough patches in a few different respects. At the same time, we made sure the record was structured and delivered in a way where each track was climactic in its own special way. ” says the guys of the songwriting process for the record.